Hiking up the Bluff Trail in Ebey's Landing National Historical Reserve, the commotion of daily life melts away while a feeling of serenity moves in. As the trail ascends upwards along the bluff paralleling the water, expansive farmland becomes visible, a multi-colored fertile landscape — goldens, browns, and greens — displaying the harmonious beauty of nature's abundance with the heritage farmer’s patchwork creation. Mt. Rainer, the Cascades and Mt. Baker all come into view; across the water the magnificent Olympic Mountains tower above — you're surrounded by 360 degrees of quintessential Pacific Northwest expanse. On a still day, you can hear the subtle sound of a bald eagle's wings as it scans for prey along the trail. The trail continues, meandering across the top of the bluff, as the eagle soars in and out of view, displaying its enormous wingspan and hunting prowess. Farther out, a splash from the water's surface can bring new discoveries of an occasional pod of orcas or migrating whales making their trek up the coast. There is no other place like it — in the 1970's concerned citizens came together to stop a proposed development of Ebey's Prairie. 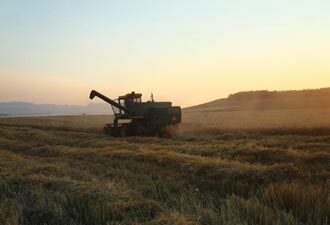 The landscape had been in place before the earliest pioneers arrived, the fertile organic soil originally created by glaciers, and later the Skagit people cultivated the land for centuries. When the earliest pioneers of the area discovered what was described as ‘a paradise of nature’, they continued farming the land. That tradition continues today. Many multi-generational farms are still in place, because the people made their voices heard. 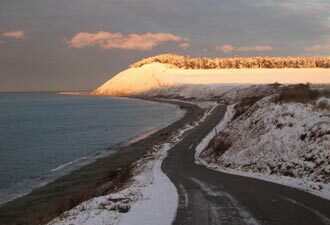 In 1978 Ebey’s Landing National Historical Reserve was created by Congress — the first of its kind. The majority of the reserve is privately owned and is managed by a nine-member trust board representing the Town of Coupeville, Island County, Washington State Parks and the National Park Service. The community of Ebey's Reserve is committed to protecting its cultural heritage and quality of life while embracing progress and change. The reserve contains 17,572 breathtaking acres that encompass many family farms, over 450 historical structures, native prairies, two state parks (Fort Casey and Fort Ebey), miles of shoreline, a network of trails, and the second oldest town in Washington. Touring the reserve you’ll find that it is a living piece of history. There is an element of timelessness rarely captured in the modern world, which is sustained and fostered by the community of people who hold a deep reverence for its historical and cultural integrity, and a responsibility for its future growth and economic stability. 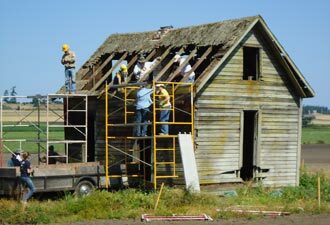 The Trust Board of Ebey’s Landing National Historical Reserve will host their annual Ebey’s Forever Conference this year on November 4-5, in Coupeville on Whidbey Island. There will be an array of programs, field trips and workshops focusing on the Reserve’s unique contributions to sustainable agriculture, historic preservation, and local stewardship. For more information, visit http://www.ebeysforever.com.